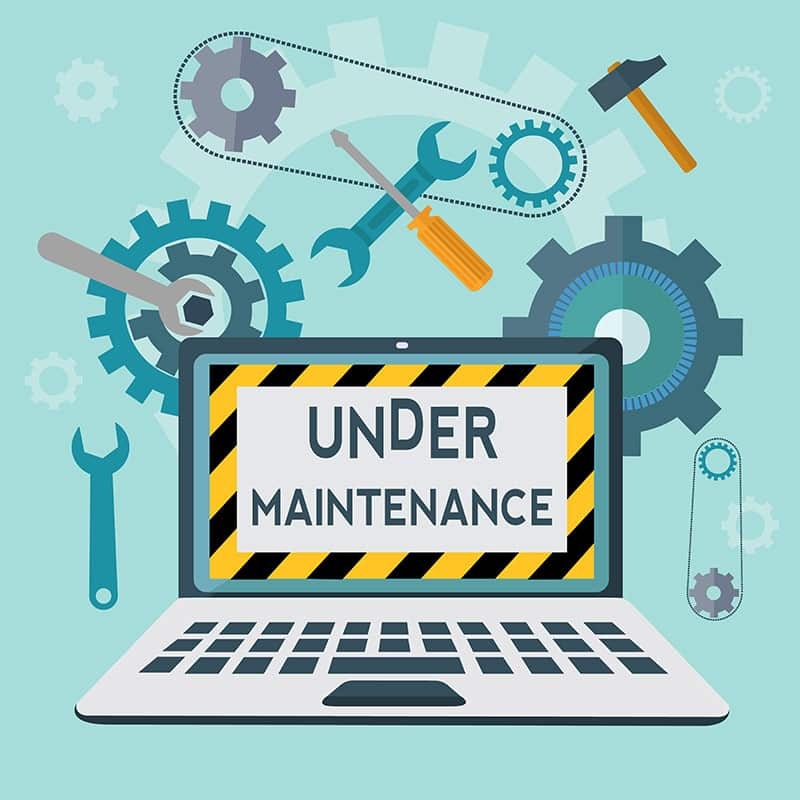 Having a routine for website maintenance will not only make your maintenance tasks easier, but they help to keep your site secure from hackers. Maintenance tasks may not be fun, but they are crucial to keeping your website investment strong. It wouldn’t make any sense to spend time and money developing your small business website just to turn around and ignore it, letting it age and become obsolete. I like to use a plugin called updraft plus to make backups of files and database for the site. I like this plugin because it usually runs without any trouble and can save to an external location, such as dropbox or google drive. This is important because if anything were to happen to your hosting server and that was the only place you had a backup, you could be left without a website or a backup. As unlikely as that may sound, I have seen it happen and it was catastrophic. Updating your site is the single most important step you can take to keep your site safe from hackers. The reason we make a backup first is because the updating process can occasionally break a website. If you have a good backup, you can simply restore the site from that backup. To update the site, you will need to go to the WordPress dashboard and click on dashboard>updates. There you will see the three sections – WordPress, plugins, and themes. Each of these sections will need to be updated in turn. Make sure you remain on the page until the updates are complete so you don’t lock your site down in maintenance mode. If that happens, you will need to delete the maintenance file from your server to get your site working again. Once you have updated your site, you will want to check the front of the site to be sure that all is working as it should. Some things to watch for are formatting errors, broken popups, broken sliders, broken buttons, broken forms, etc. Check like you have just got your site finished and you are testing everything. If anything is not working, you can narrow down which plugin is responsible and restore that from the backup. This step requires a plugin such as wordfence. I like using wordfence and ithemes security together for most sites. There are situations where these plugins may not work, such as when the hosting company already provides a security layer that may conflict with these plugins. Run a scan and see what is recommended for anything that is found. If you have malware on your site, it will need to be cleaned thoroughly to be sure it is all gone. If your domain has been blacklisted, you’ll need to follow steps to be sure you can still be found in google. While this may not seem like a maintenance step to some, it is important to keep the SEO fresh on your site. Google looks for fresh, relevant content. If you only have stale content, you will not be as competitive for your search terms. You want to post on a regular basis and make your posts long enough to satisfy google and your readers. You also want to include keyword phrases that are relevant to your business that will help people who are searching for those terms. Add good imagery to enhance that content and help people feel that your content is high quality. The last step is to share your content on social media. While this is not the only time you want to be posting on social media, it is important to share when you add a blog post. This will help add validity to your site with links coming back from social media, such as Facebook and google plus. If you have any questions about how you can keep your website maintained, or if you would like to hire me to maintain it for you, please contact me and let me know. Interesting tasks to WordPress maintenance on a website. Many would never go for malware scan or adding fresh new content while maintaining a WordPress site. But I agree it is always desirable to add new content to satisfy search engines also readers. It does make us to feel that the maintainer of the website is active and not dead. Sharing new content on social media is relevant as these days people spend many hours a day on social media.